BleachBright Cosmetic Teeth Whitening in 15 Minutes! "Tooth Whitening at the speed of light." Your cost just $119, regularly $299 or more! Getting married soon!!! For your wedding, you'll want to have white teeth and a beautiful smile. We offer teeth whitening for your bridal party, bride and groom, and your friends. Group rates available. See below for details. Contact us to book your BleachBright teeth whitening event. Your smile is the first thing that people notice. Whiten your smile for your wedding day. Book a bridal teeth whitening party. A group of four people will receive 15% off regular price. 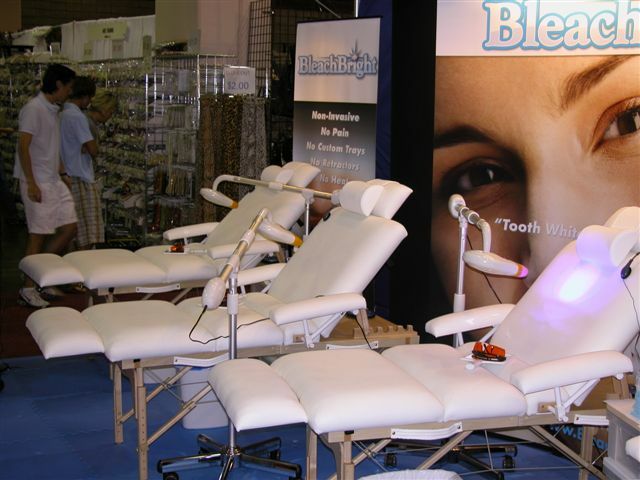 Host a BleachBright teeth whitening party with six or more people and you get a free teeth whitening treatment. Don't forget to ask us about our teeth whitening pens to help you keep your bright white smile. Teeth whitening pens are 50% off, regular price $30, now just $15. Have the whitest teeth and smile for your wedding photos. Host a teeth whitening party and get your teeth whitened for free. Remember BleachBright teeth whitening will come to you! Book a teeth whitening party. Now you can have a beautiful smile with bright white teeth at a price much less than what you would pay at your dentist. Our new teeth whitening cosmetic treatment will make your smile noticeably whiter and brighter in only 15 minutes. Why pay hundreds of dollars when you can get BleachBright professional teeth whitening service for our special price of just $119! Contact us to schedule your teeth whitening party, fundraiser, or special event. BleachBright teeth whitening is cosmetic teeth whitening that takes just 15 minutes and whitens your teeth 2 to 8 shades. It's fast, safe, and effective. Teeth whitening is often done just before special occasions such as Prom, Mother's Day, Graduation, Vacation, Wedding, Birthday, Reunion, or Valentine's Day. 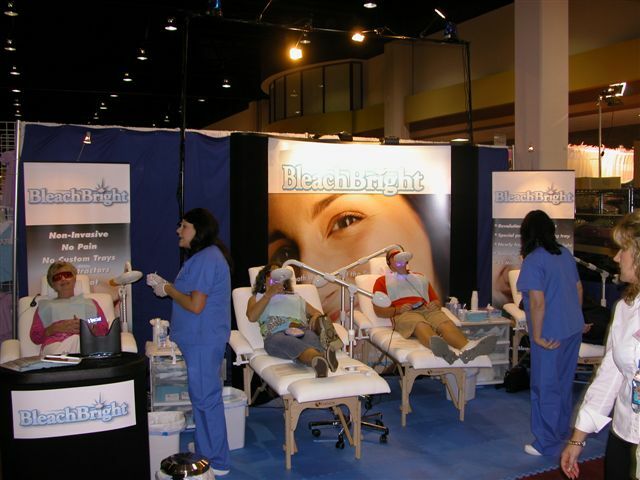 BleachBright is available to provide a teeth whitening event at your location in Maryland, Pennsylvania, Washington D.C., and Northern Virginia. We offer on-site teeth whitening service at malls, salons, home and garden shows, fitness centers, day spas, trade shows, hotels, bridal shows, health clubs, and many other events. 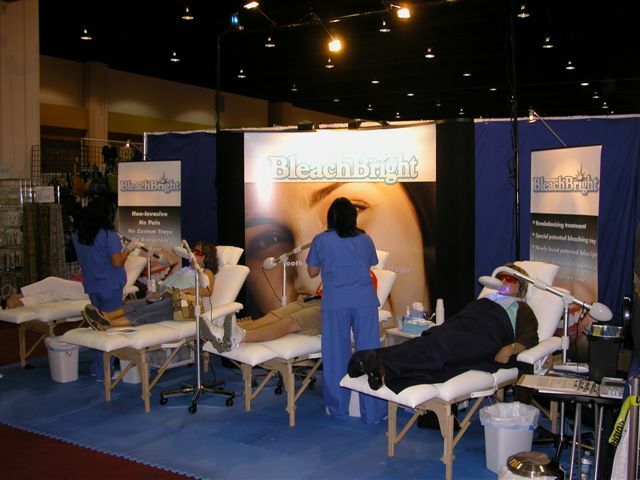 Contact us to schedule a BleachBright teeth whitening party or event. You can get paid to host a BleachBright teeth whitening event and get a free teeth whitening session. Maryland teeth whitening provided by BleachBright, providing cosmetic teeth whitening for some of the following Maryland locations: Baltimore MD, Frederick MD, Columbia MD, Ellicott City MD, Towson MD, Westminster MD, Owings Mills MD, Hunt Valley MD, Timonium MD, Cockeysville MD, and Eldersburg MD. Search for BleachBright teeth whitening, teeth whitening Baltimore MD, teeth whitening Frederick MD, teeth whitening Columbia MD, teeth whitening Ellicott City MD, teeth whitening Towson MD, teeth whitening Westminster MD, teeth whitening Owings Mills MD, teeth whitening Hunt Valley MD, teeth whitening Timonium MD, teeth whitening Cockeysville MD, and teeth whitening Eldersburg MD. Remember BleachBright teeth whitening will come to you! Book a teeth whitening party. Book a bridal teeth whitening party. Whiten your smile for your wedding day. A group of four people will receive 15% off regular price. Host a BleachBright teeth whitening party with six or more people and you get a free teeth whitening treatment. Host a teeth whitening day at your salon or spa. 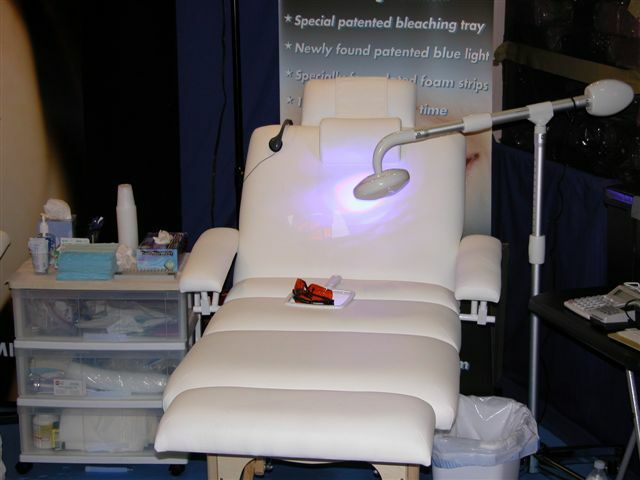 Teeth whitening has partnered with a variety of businesses, organizations, groups, and events. Search for salon teeth whitening, spa teeth whitening, health club teeth whitening, fitness center teeth whitening, mall teeth whitening, bridal teeth whitening, wedding teeth whitening, prom teeth whitening, vacation teeth whitening, holiday teeth whitening, summer teeth whitening, high school prom teeth whitening, and Mother's Day teeth whitening. BleachBright is the #1 cosmetic teeth whitening system. Our teeth whitening cosmetic treatment is safe, effective, convenient, and affordable. BleachBright provides amazing whitening results at a fraction of the cost. For more information visit the BleachBright Teeth Whitening website, www.bleachbrightteethwhitening.com or visit our BleachBright Online Store..
BleachBright teeth whitening provides services and products relating to your teeth, whitening, smile, teeth whitening, whitening teeth, tooth whitening, white teeth, teeth whitening tips, whiten teeth, whitening gel, teeth whitener, white teeth whitening, best teeth whitening, teeth whitening gel, teeth whitening products, teeth whitening professional, bleaching teeth, teeth bleaching, laser whitening, teeth peroxide, whiter teeth, tooth white, bright smile, teeth whitening maryland, and teeth whitening baltimore. Visit the BleachBright Online Store at http://amzn.to/2gVZrYT. Thank you.